The Department of Defense announced Friday that it was denying four states’ requests to waive requirements of a law intended to protect the voting rights of military personnel overseas, but five other states were granted exemptions because their alternative accommodations were deemed adequate. The states denied exemptions to the Military and Overseas Voter Empowerment Act were Alaska, Colorado, Hawaii and Wisconsin, as well as the District of Columbia and the Virgin Islands. Waivers were granted to Delaware, Massachusetts, New York, Rhode Island, Washington. 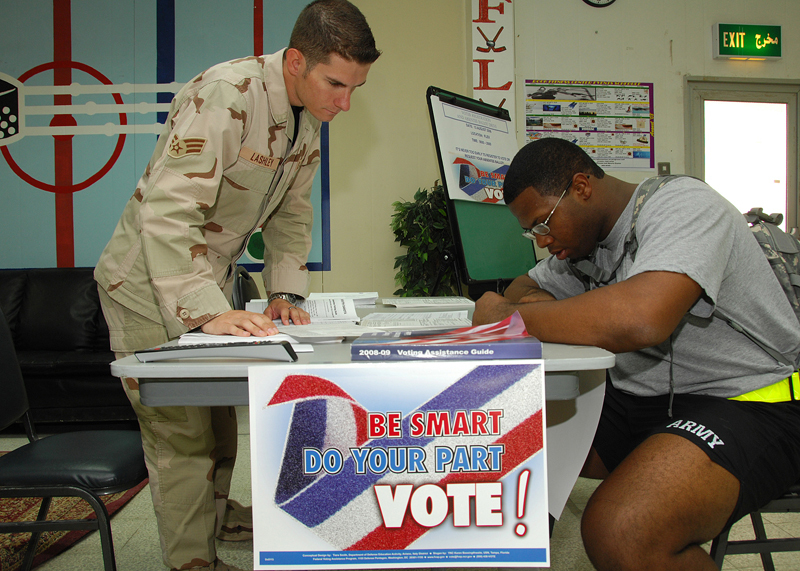 The MOVE Act requires states to send absentee ballots to military and overseas voters covered by the Uniformed and Overseas Citizens Absentee Voting Act no later than 45 days before an election for federal office starting with this fall’s elections, election. In accordance with the MOVE Act, states are allowed to apply for a waiver from the 45-day ballot requirement. U.S. Department of Justice spokeswoman Xochitl Hinojosa said the department was working with those denied to bring them into compliance. The department will file lawsuits against any state that doesn’t voluntarily comply, she said. The Wisconsin board that regulates elections issued a statement saying it was committed to ensuring all military and overseas voters fully participate in elections and will begin working immediately with the DOJ to work out what steps to take next. Wisconsin election director Kevin Kennedy said before the decision was handed down that a denial would not change how the state holds its Sept. 14 primary. 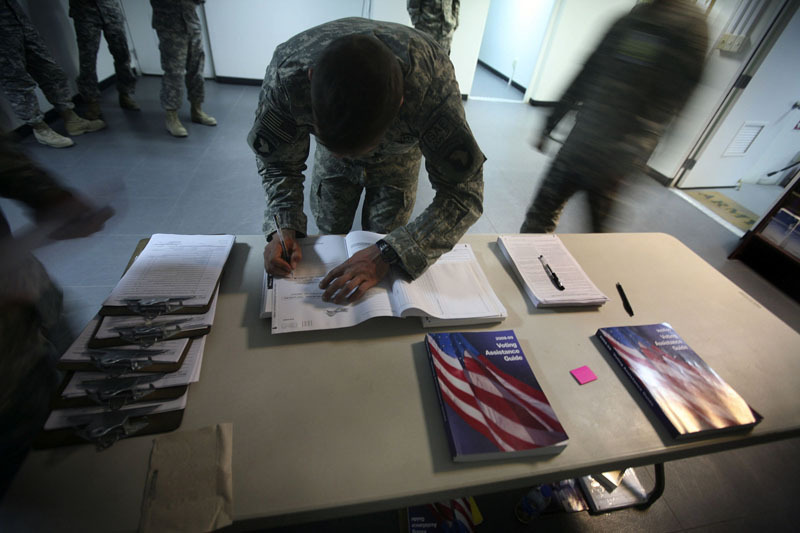 Under the new federal law, ballots to members of the military and others living overseas have to be sent 45 days before the Nov. 2 election. time to formalize the ballot and get it sent to those voters by the Sept. 18 deadline. Minnesota and Vermont responded to the law by moving their Sept. 14 primaries back to August. Maryland initially asked for a waiver for its Sept. 14 primary, but then determined it could get the ballots to military and overseas voters before the election. The head of a nonprofit group that advocates for military and overseas voters said the 45-day requirement under the law isn’t that big of an issue because all states can e-mail ballots to voter. The 45-day requirement was the worst-case scenario for how long it would take a ballot to be sent and returned by mail, said Susan Dzieduszycka-Suinat, president and of the Overseas Vote Foundation. Of those that requested a waiver, three have already had their primaries — Colorado on Aug. 10, Washington on Aug. 17 and Alaska on Aug. 24. Six of them are on Sept. 14 — Delaware, New York, Massachusetts, Rhode Island, Wisconsin and Washington, D.C. The Virgin Islands’ primary is Sept. 11 and Hawaii’s is Sept. 18. A study released Wednesday says that 28 percent of deployed service members were unable to vote in the November elections because their absentee ballots were uncounted or never collected. That finding, based on data gathered by the Congressional Research Service from seven states with high populations of military voters, is worse than in the 2000 presidential election, despite a massive effort to improve the absentee voting process, said Sen. Charles Schumer, D-N.Y., who requested the study. “This is unacceptable and something we should not allow to continue,” Schumer said. Sen. Saxby Chambliss, R-Ga., said he expects Congress to do something tangible because voting laws are not working. The seven states in the study were California, Florida, North Carolina, Pennsylvania, Texas, Washington and West Virginia. Combined, they account for 43.5 percent of the active-duty military population. The Military Postal Service Agency had returned 519,032 overseas absentee ballots to local election offices as of Nov. 4, more than 2½ times the total of 203,233 returned in the 2004 election, officials said. MPSA delivered 415,428 absentee ballots to APO and FPO addresses between Sept. 8 and Nov. 4, said Shari Lawrence, Army Human Resources Command spokeswoman, more than twice the total of 205,418 sent out in the same time period in 2004. Some people were able to get ballots electronically, depending on the state. That’s why nearly 105,000 more ballots were received by local election officials this year than were mailed through the military postal system to APO/FPO addresses.